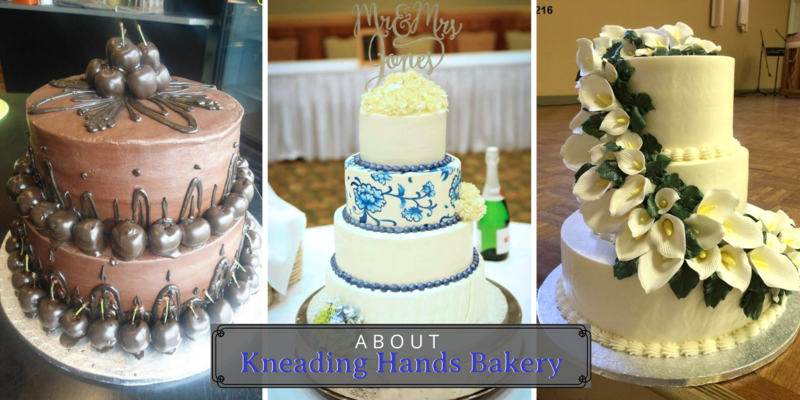 Kneading Hands Bakery is a local and independently owned bakery specializing in custom wedding cakes. We're more than just gorgeous wedding confections - we also offer custom pastries, cookies, bread and more. When you come into our shop to enjoy our ice cream bar or to sample one of our custom pastries, cookies, or cupcakes - you'll always be met with outstanding and friendly service. We've been proud to serve our area in Russellville Arkansas since 2014 and have worked with clients throughout the Central Arkansas Area! If you're looking for a one-of-a-kind cake, cupcakes, pastry or cookies, then you've come to the right place! We are capable of utilizing both classic and traditional, as well as contemporary and modern design styles to bring a wide selection of delicious treats to our customers! We may specialize in custom wedding cakes, but we offer so much more! Don't wait to discover everything we can do for you. Feel free to contact us directly to inquire about availability in pricing.